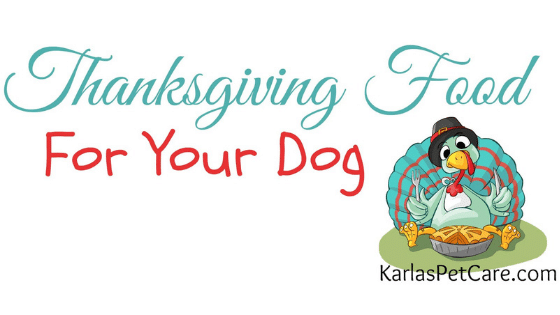 Most of us know, that giving our pets our Thanksgiving meal the way we eat it, isn’t really a good idea. However, that doesn’t mean that they can’t sample and enjoy some of the same foods. After all, I know we are all very thankful for our pets every day of the year, so why no include them, right? But if you’re like me, you see all these recipes for dog treats and things you really do want to make for your dog. And it always seems that no matter how badly you’d like to make your pets homemade treats, it can be hard to find the time. Thanksgiving is no different. We still want them to enjoy a great meal with us, though, right? That’s why we have this awesome list of regular food that you just have to set aside while you’re preparing your regular meal that your pet will love! Almost everyone loves pumpkin this time of year. And it’s especially good for our pets. But, don’t make the mistake of thinking pumpkin pie filling is the same as fresh pumpkin. It’s not the same. If you want to give your dog a special Thanksgiving dessert treat, think of giving him some fresh, pureed, plain pumpkin. This can be done up in an ice cube tray and frozen or put into a Kong treat toy or put it on their plate as a side. Either way, they are sure to love it. This is an amazing side dish you can easily make for your dog. When you start to boil or mash regular or sweet potatoes, set aside some of the unseasoned potatoes; before you add all of our decadent ingredients. Dogs can be very sensitive to many herbs, a lot of butter or cream, so it’s best to minimize those when possible. Green bean casserole may be a favorite at the table, but it’s not going to be that great for your dog’s digestive system. Most dogs actually enjoy green beans, just remember to make them plain. They make a great side for your dog’s Thanksgiving plate. We all have images of dogs chewing on bones or eating whole turkeys off the table, but this is definitely not how it goes. Dogs and cats do best with lean, skinless pieces of white meat. The grease from the skin and dark meat can upset their tummies. Also, never give them a piece of meat with bones, they could accidentally ingest bone splinters which can lead to pretty serious conditions like internal bleeding and death. It’s great to be able to easily include our pets in our holiday celebrations. Make sure to check out our post on How to Make Your Own Dog Treats to make an extra special side for them. And most importantly…HAPPY THANKSGIVING!